Dear members, This is to update you that I will be running handpicked, quality annoyance free advertisements through the blog. These advertisements will be hand picked by me to insure quality products, discounts and preorders. Kindly, if interested and wiling to purchase do so through my blog link. The tiny commission I will be getting will help maintain the blog and add more projects like the upcoming gaming community “announced soon”. All, at no cost to you. Once again, the offers will be from legit websites such as Amazon, eBay and other trusted sources and not spam. To insure that the products show up to you, kindly add my domain to the adblock plus plugin safe list provided you are using it. 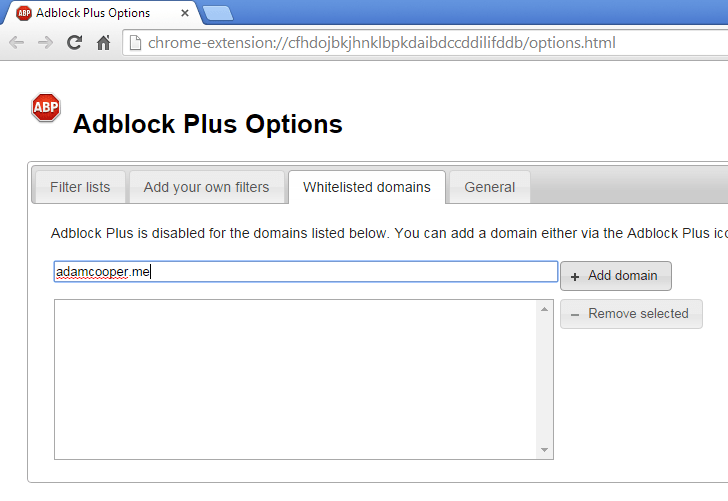 Open the plugin’s option menu and add my domain to the allow list. For business inquires, kindly contact me via any of the channels listed on About us page. Thank you for supporting the blog and as always, comments and suggestions are more than welcomed.